Please click here for revised donation guidelines. Our families need your help! We are in need of gift cards to Target and Walmart for back-to-school resources and Home Depot gift cards for home repairs. 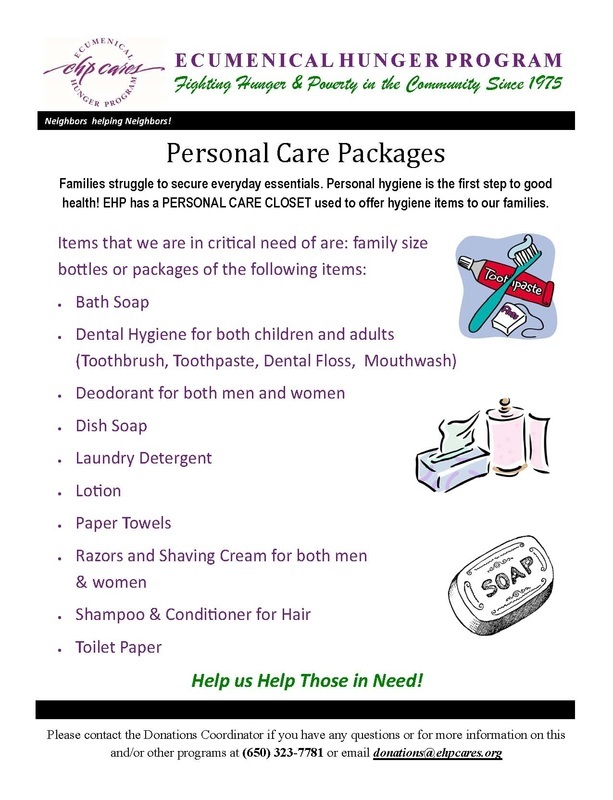 Call EHP for more information on how you can help a family-in-need and donate today! When you make purchases for the holiday or anytime during the year please sign in using: https://smile.amazon.com/ch/94-2476942 and it will direct you to the Ecumenical Hunger Program, AmazonSmile account, Log in and begin shopping! Or you can type in smile.amazon.com in your browser and type in Ecumenical Hunger Program as your selected charity. If you have a prime membership it will be included. Amazon will donate 0.5% of the price of your eligible AmazonSmile purchases to Ecumenical Hunger Program whenever you shop on AmazonSmile.